See Barbara Weir artworks and get prices online. Superb examples of paintings by one of Australia's best Indigenous artists .Contemporary Australian & Aboriginal art to rent or buy from Wentworth Galleries in Sydney. View artworks now. Barbara Weir tragically a victim of the 'stolen generation' has emerged as one of Australia's foremost artists. "I paint my mother's country, the land where we live, find and prepare our food. I paint the same old stories I heard as a child, only my personal style is different" (Barbara Weir). Barbara was born in 1945 at what was formerly known as the Bundy River Station near the art oriented Utopia station, just North-East of Alice Springs. With parents of mixed heritage, her Aboriginal mother renowned artist, Minnie Pwerle and Irish station owner Jack Weir, Barbara's childhood was plagued by the threat of assimilation, the government policy of the time. After nine years escaping detection of her mixed heritage, Barbara was taken by Native Welfare and fostered out to various families with the intention of being assimilated into society. Barbara a victim of what was deemed in later years as 'the stolen generation' was forced to speak English, to neglect and forget her native language and customs. To add to the upheaval Barbara was told that her mother had died. Thirteen years later Barbara determined to re connect with her family, returned to her childhood hometown with her six children in the late 1960's. Officially moving back in 1977, Barbara's initial experiences were hindered by her inability to communicate having lost her knowledge of the language. Whilst initially a hostile relationship ensued with mother Minnie Pwerle, under the guidance and influence of her Aunt the most acclaimed indigenous artist Emily Kngwarreye whom raised her as a child, Barbara was reconnected with her traditional Aboriginal culture. Barbara relearned her traditional native languages of Anmatyerre and Alyawarr. With her family's artistic tendencies and especially the unique bond with Emily, Barbara developed a strong passion for art. 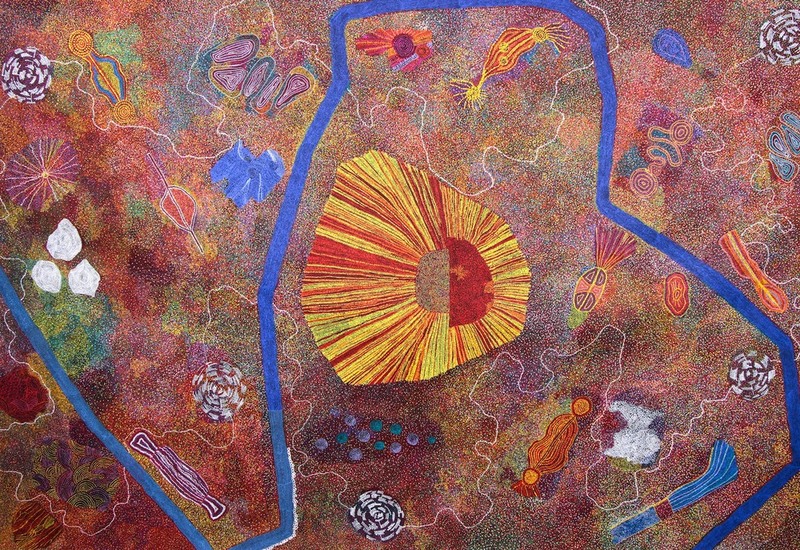 After a period of experimentation and a trip to Indonesia to study the batik style in 1994, Barbara began to gain recognition for her own creative style of painting. At the request of a gallery owner who commissioned works by Barbara in 1996, she travelled to Switzerland and Paris where her collections were an undeniable sell-out. With the death of Emily Kngwarreye in 1996, Barbara was driven to further develop her artwork producing her now renowned 'grass seed' dreaming style with its swaying effects. These 'Grass Seed' paintings with their overlapping and interconnected brush strokes contrasting with her intricate dot layering technique of the dreaming story 'My mother's country' convey the diverse abilities held by Barbara. Barbara's artworks interweave sacred, traditional, historical and ceremonial elements, all aesthetic interpretations of Barbara's understanding of her Aboriginal culture and heritage. Barbara continues to push the boundaries experimenting with different styles of painting including using traditional ochres found in the Utopia region of Central Australia. Using these styles Barbara conveys her dreaming stories of Bush Berry, Grass Seed, Bush Yam, Bush Plum and Bush Banana to name a few each expressing her strong connection with her culture. It is her evident talent that has seen her named one of 2009's top 50 most collectible artists and made her a prominent feature of many private and public collections world wide.